The Community Service Showcases are presented to you by the Student Service Board in conjunction with the “!” Staff. If you would like to be interviewed for your volunteer work, please contact Roma Forest at rforest@stanford.edu. 1. Grade? Age? Hobbies? Where do you live? I’m a Senior (newly 18!) based out of Soldotna, AK. Being in Alaska, I love to hike and camp in the warmer months, but I fill my winter months with lots of yoga—I never go anywhere without my mat!—Pilates, coffee, and traveling. 2. What kind of service do you do and how does it help the environment, economy, etc.? In my hometown I volunteer at the local hospital and nursing home each week, but most of my energy is focused on either organizing international service trips or working in rural towns internationally. I have worked in Thailand in schools, orphanages, and rural villages teaching English and building water tanks. More recently, I’ve been traveling to Kenya to work in hospitals with my parents. While here, I usually work in the pediatrics ward and the local orphanages. I love working with kids, so I feel so fortunate to have this opportunity! 3. What inspired you to pursue your service? My parents. They have always stressed the importance of service and selflessness, along with the necessity of hard work and determination. So through their example I have seen the amazing feats working for the good of others can accomplish. For example, my father left his medical practice in Tennessee to start one in a very rural part of Alaska. He saw a need and seized the opportunity to fill it. I guess you can say the love of serving others has been ingrained in me since I was little. 4. What are some of your daily tasks? When I am in Kenya, my daily routines vary greatly from day to day. The hospitals are somewhat (really) chaotic, so you are constantly on your toes and adjusting to the situation. Sometimes in the pediatrics ward I will read with the children, pray with those going into surgery, talk with the parents, or deliver candies and toys sent to the hospital. Most of my time at the orphanages is spent speaking with them to improve their English, reading with them, helping them cook, or delivering clothing and food sent for them from the States. A lot of time is spent just hanging out with people, too, because I am not trained in any medical field. Kenyans are incredibly friendly and hospitable people, so they love talking and laughing and learning about others even amidst the bleakest circumstances. It’s really beautiful. 5. What is the one thing you most enjoy about your tasks? Probably working with kids. I want to be a pediatrician when I am older and live in a place like Kenya where I can serve others who would otherwise not receive medical care. Seeing so many patients come through that cannot be helped, whether it is for financial reasons or too-advanced illnesses. It’s heartbreaking to realize that the medical care available in the States is not available everywhere, so simple procedures are made significantly more difficult within the Kenyan system. Also, leaving! I hate leaving at the end of a trip; I would live in Kenya now if I could. 7. Was the process of getting involved in your service easy or a bit more difficult? Truthfully, there are tons of logistics to figuring out a trip like this. Form after form, immunization after immunization, the ”getting ready” stage takes forever! 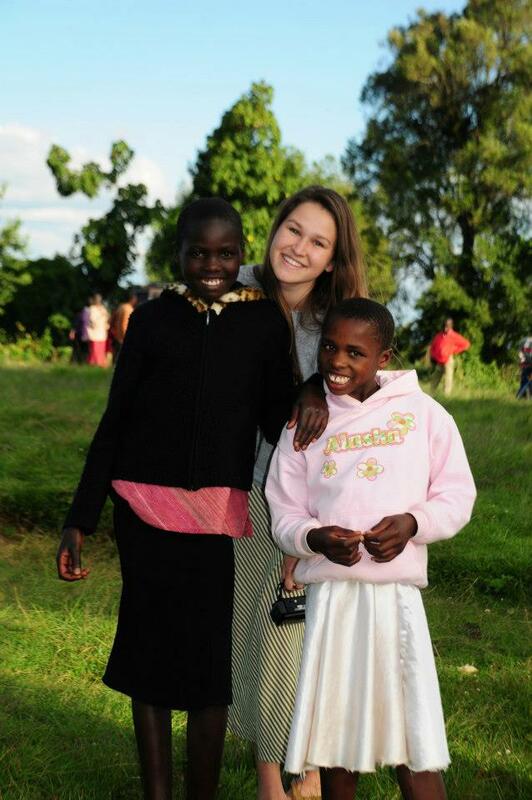 And once I am there, actually in Kenya, I have to be really outgoing. Kenyans never want to burden anyone, so I have to really put myself out there and be like “please let me serve you! That’s what I’m here to do.” Having parents in this field of work also helps. They always serve others so selflessly, so I’ve tried to shape my own character on their example. 8. Do you have any advice for students pursuing service similar or identical to yours? If you have the opportunity, do it! Putting aside the obvious joy of helping others, being exposed to the poverty but also power of people in Eastern Africa is invaluable. I’ve learned so much about the world and myself, and these trips have given me a better idea of what I want to spend my life doing.